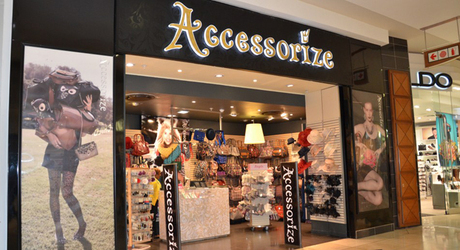 Accessorize London is a treasure trove of fun and fashionable jewellery and accessories. A franchise of the hugely successful Monsoon Accessorize London, Accessorize London opened its first store in London’s Covent Garden in 1964. Accessorize holds a unique position as a shopping destination with its inspirational globally sourced trendy collection of fashion accessories – an extensive product range which includes every kind of accessory imaginable.